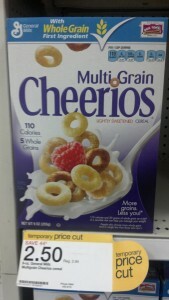 Multi Grain Cheerios only $1 per Box w/ Coupons! You really gotta love Target for being able to stack coupons! = only $1 per box! This is a great price and remember, you can print 2 coupons per computer! Thanks, Saving Well Spending Less!